This is the time of year that we like to remind patients to maximize their dental insurance benefits because most plans will end on December 31st. But what if you don’t have dental insurance? Your dentist in Framingham has a solution with our in-house loyalty plan. Here’s what you should know. If you are committed to excellent oral health, but you don’t have dental insurance benefits, our in-house loyalty plan is an excellent option. For one low yearly membership fee, you will receive preventive services at no additional cost, and discounts on many restorative and cosmetic services. Many patients find that our in-house loyalty plan is more convenient than dental insurance since there are no deductibles or waiting periods to be concerned about. Patients can get the treatment they need in a timely manner at a discounted price. If this sounds like the right plan for you, we encourage you to contact Framingham Family Dental Care to learn more. If you do have dental insurance, this is the perfect time of year to ensure that you are making the most of them because usually plans will run out in December. Your unused benefit dollars will not roll into January when your plan renews, so using them now ensures that they don’t go to waste. Have you had two preventive cleanings and checkups this year? Your plan likely covers most if not all of those visits. 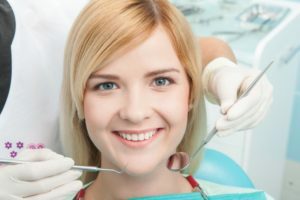 Preventive visits help detect more significant concerns early on such as gum disease, tooth decay, and cavities, allowing you to choose less invasive treatment procedures. If you have restorative needs, your plan will typically pay a percentage of your treatment amount up to $1000 to $2000. Don’t let that money go to waste if you need services such as a dental crown or filling. Give your team at Framingham Family Dental Care a call today to learn more about how we can help you save on your dental care before January 1st. Drs. Adelina and Arvi Duka lead your team at Framingham Family Dental Care. With a commitment to providing a higher standard of care, we offer patients a wide range of services to meet the needs of both children and adults. We also equip our office with the latest dental technology to ensure that your experience is comfortable, efficient, and stress-free. If you would like to contact our dentists, they can be reached by calling 508-626-2402 or through our website.